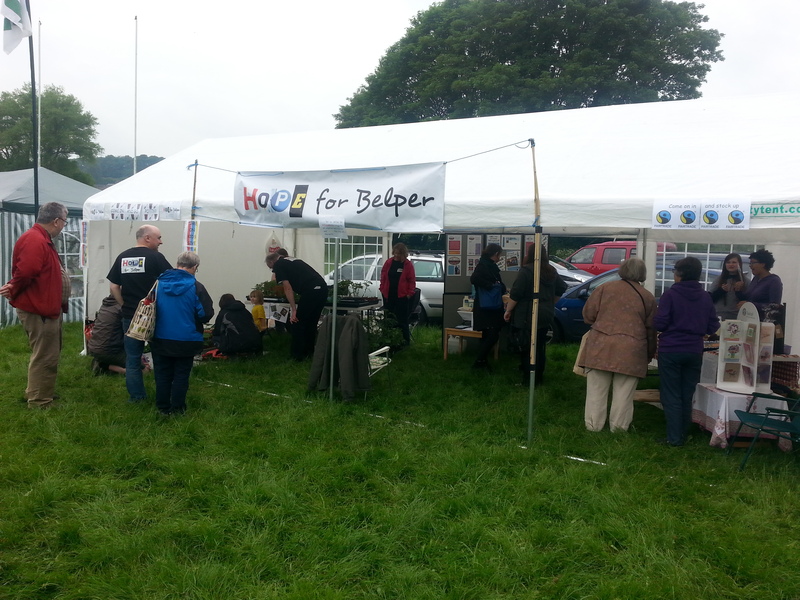 Hope for Belper getting a bit crafty! Belper’s Winter Food & Real Ale Festival is rapidly becoming an event not to be missed. Many hundreds of folk poured in to the town centre and consequently there were many tired little ones in their parents wake. Folks from across the churches under the banner of Hope for Belper were on hand for a third year to provide the opportunity for kids to enjoy some Christmas related crafts – tree decorations, cards and masks galore were produced and there have never been so many Marys, Josephs and Shepherds wondering the high street! Hope for Belper Street Angels were also at the stand, chatting about their support for people finding themselves vulnerable in the wee small hours of a Friday night in town. It was again a privilege to come alongside the council in working for and loving our town together. Author ggandhgPosted on December 9, 2013 January 26, 2019 Categories Local festivalsLeave a comment on Hope for Belper getting a bit crafty! Belper’s 2nd Winter Food Festival went ahead with nearly double the number of stall holders participating – we enjoyed a very cold spell of seasonal weather that weekend, but it certainly didn’t stop neighbours from across the town and beyond, wrapping up and coming out to browse and enjoy meeting up with old friends. In our busy lives, these communal dates in the calendar are certainly great opportunities not just to enjoy all that local traders and producers have to offer, but also a time to connect maybe even just once a year with old friends, catching up with their news in a kind of face to face round robin replacement! There is something that feels quite medieval about such a street scene. The children’s activities that Hope for Belper provided were very busily taken up, especially over the morning and due to the nature of some of the craft options to hand meant that we were able to have some good conversations with parents – plenty of interest was shown in the display materials, with special interest in developments to both the Street Angels and The Basic Idea projects. Personally, I fulfilled one of my ambitions, which was meeting someone who lives well ok, works) in Halfway in Sheffield – never take the tram it only promises to take you ‘Halfway’! There are 74 days left to Sunday the 3rd June, so there’s still time to to get together with your neighbours and arrange a fun meal out of doors. Alternatively, in partnership with the Town Council, St Peter’s Church are hosting a ‘Jubilee Street Party’ on their tree lined drive, to which everyone is welcome. Keep your eyes peeled for further details around the town, but the idea is that the party will run from 12pm until 3pm on Monday the 4th June, with each family, couple or single person bringing picnic food for themselves plus one other.